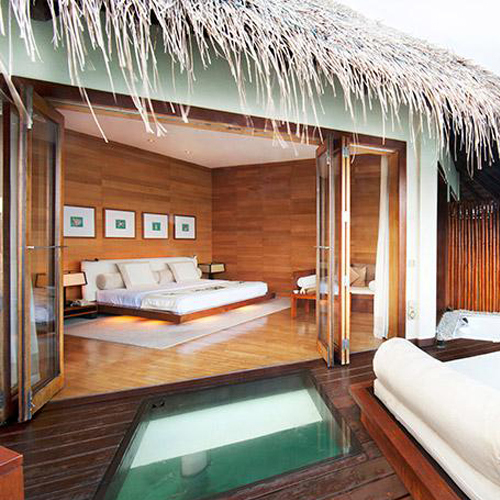 Adaaran Prestige Water Villas is another amazing resort offering from Adaaran. 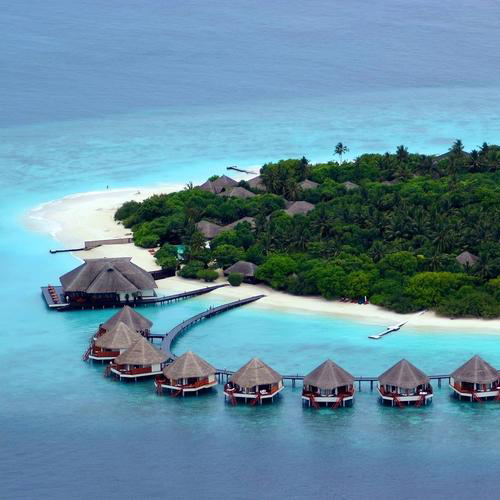 It is located on the Meedhupparu Island in the Raa Atoll Area. 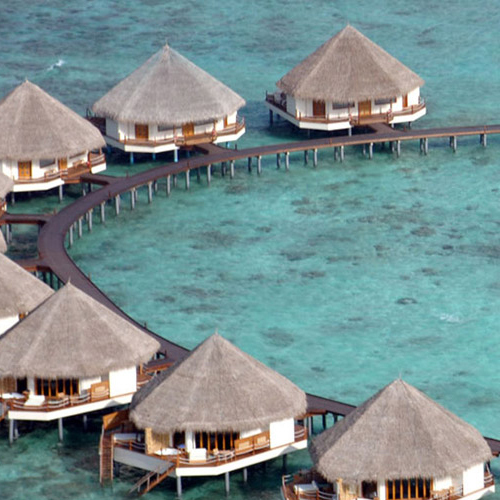 Adaaran Prestige Water Villas is a 45-minute scenic seaplane flight from Male International Airport. The resort offers a Premium All Inclusive package, which will guaranteed keep you happy throughout your stay. 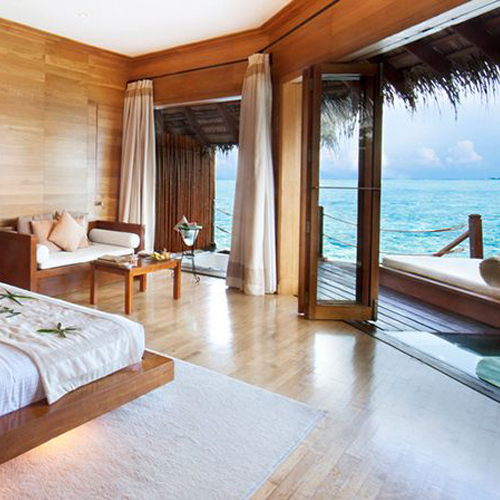 All villas are over water and the luxury wooden interiors with specious accommodation open up to a beautiful sun deck with blue crystal ocean water right in front of you. 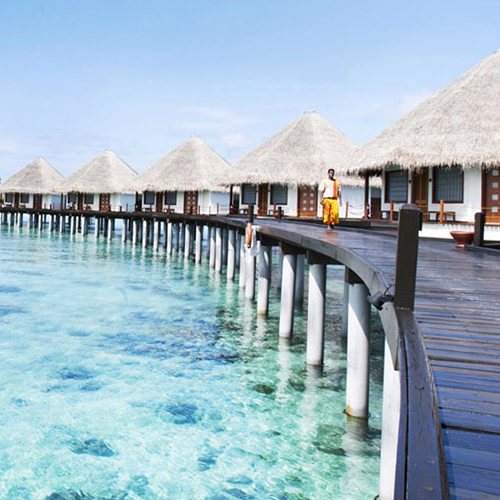 Adaaran Prestige Water Villas Maldives is known for their exquisite interior with a very own sun deck and private jacuzzis to truly enjoy breath taking views of the horizon. The resort also features an outdoor pool, private spa baths, personal butler for the guests and chef service. 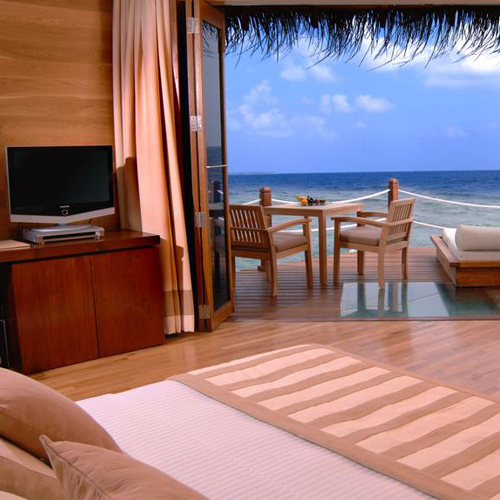 In-room massage services, fitness centre, water sports activities and diving are at your disposal. A restaurant with Á La Carte dining and a bar is also located in the island.